pampas2palms: One of the best borders ever! Apologies folks for not posting much lately! I've had my friend Jim from the USA staying over here in the UK which has meant I haven't had much time for writing the blog but we have visited some lovely places, which gives me plenty to write about in the next few weeks. 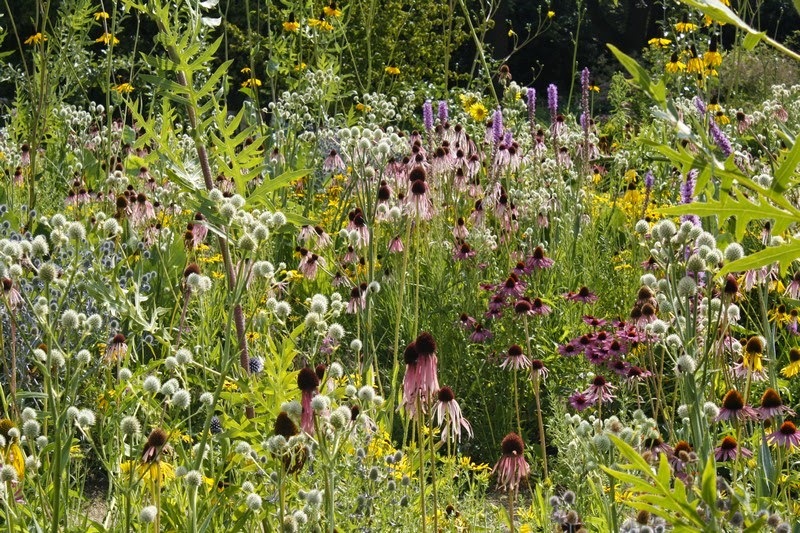 Regular readers will know that I am not shy when I want to criticise something but I hope that I am always fair to praise real achievements and just last week I was captivated by probably the best prairie planting I have ever seen. Jim and I were visiting Oxford and doing the tourist trail but I sort of sneaked us near the botanic garden and suggested a quick trip round. As it was Jim loved it but when we got to the end of the garden we discovered a real horticultural treat! 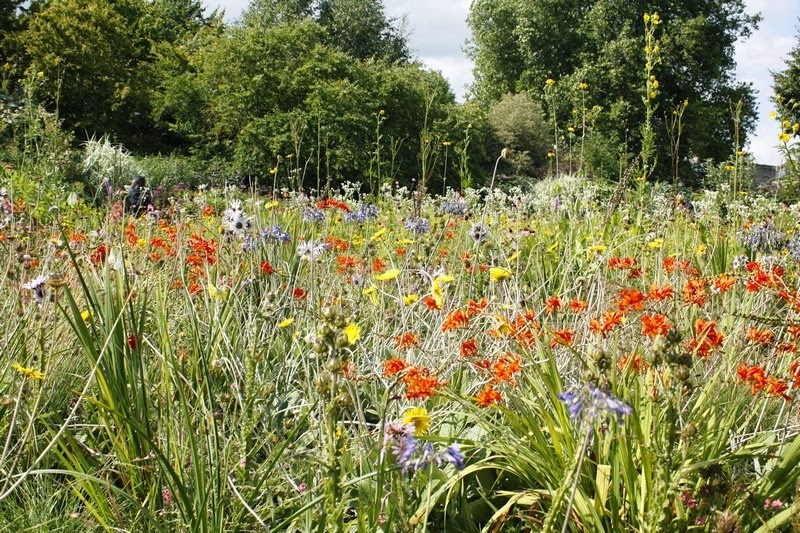 The Merton Borders were developed in collaboration with Professor James Hitchmough from Sheffield University who is known for his work creating unique plant communities. 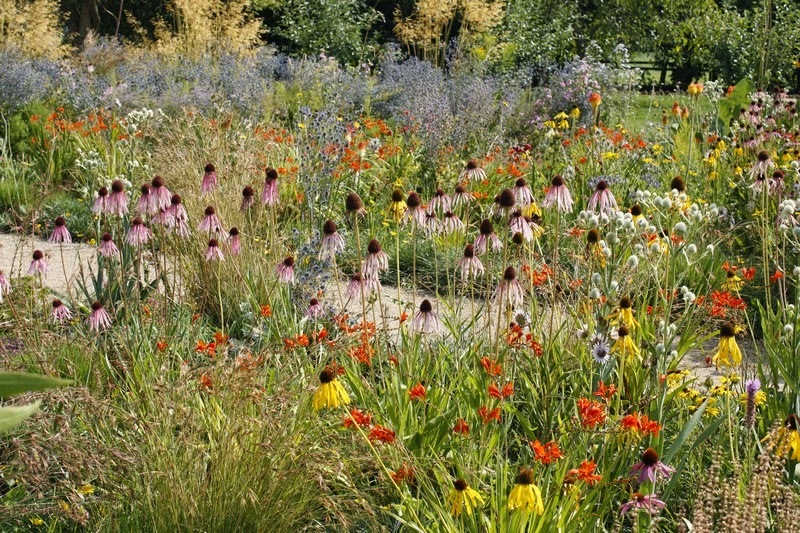 Here we found a huge stretch of brilliantly coloured plants and grasses in huge variety. 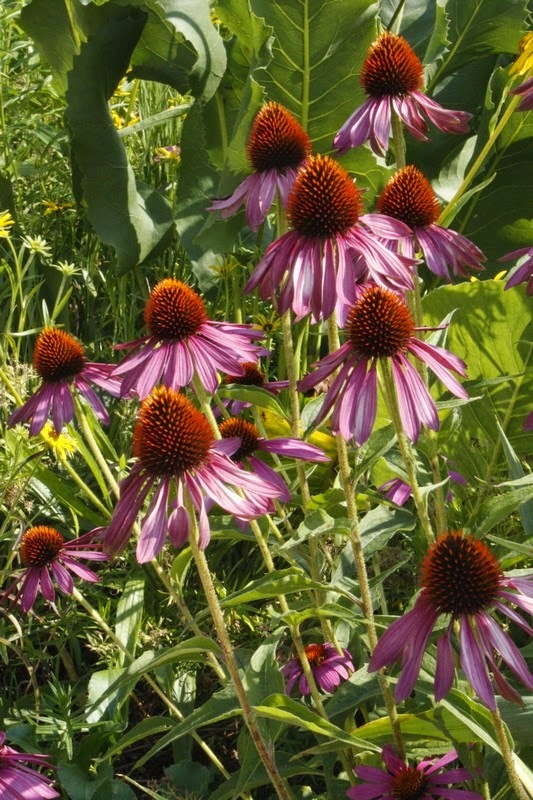 The plants come from The Southern Great Plains of the uSA, parts of East africa and Southern Europe to Turkey, Asia and Siberia. 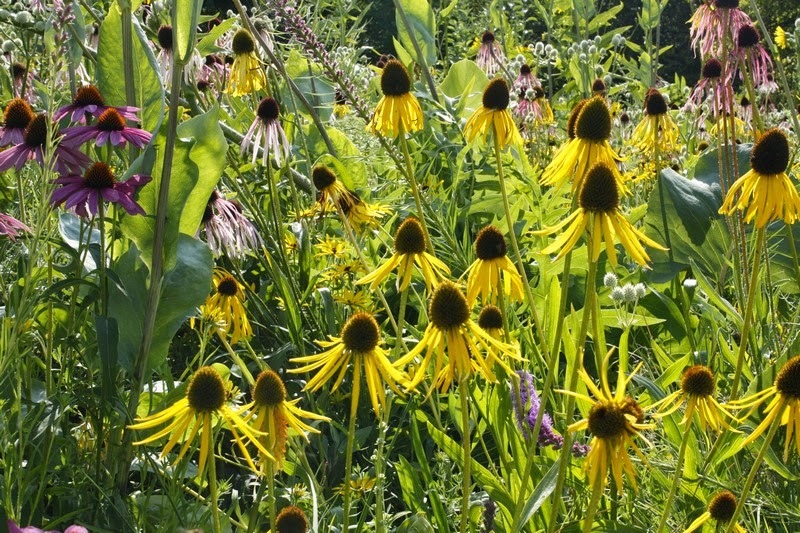 I later discovered that 85% of the plants had been established from seed sowing in situ. 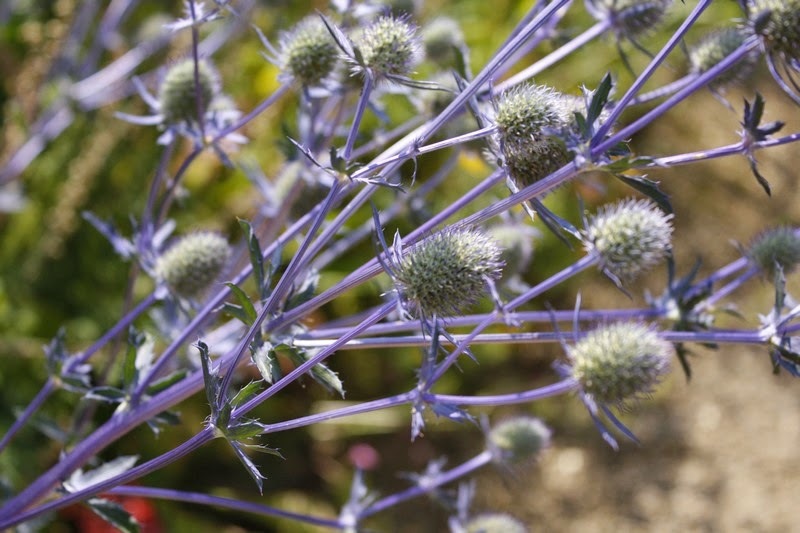 There is a high density of plants which will be tolerant of hot dry summers, require minimal maintenance and a display from spring to autumn. 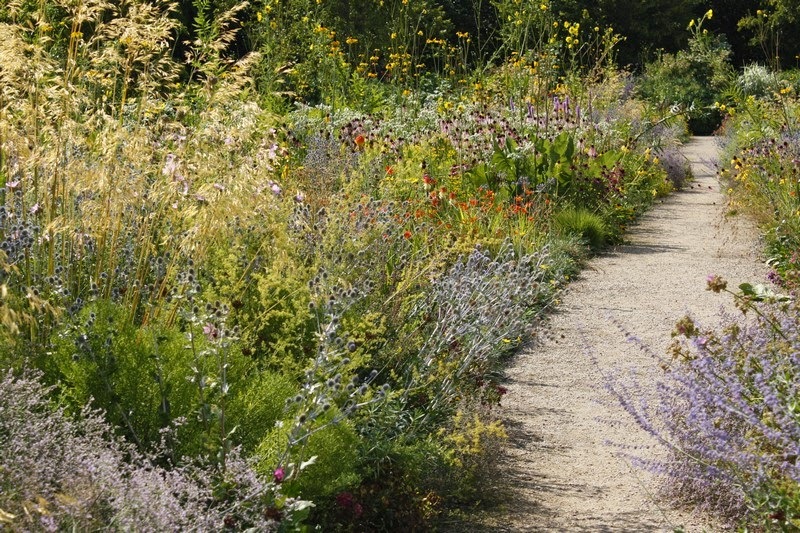 Seed was originally sown in 2011 and when visited last week the borders were spectacular. Whilst my pictures are reasonable, they fail to capture the sheer pleasure of walking through this spectacular field of flowers. Do visit if you are in the area! 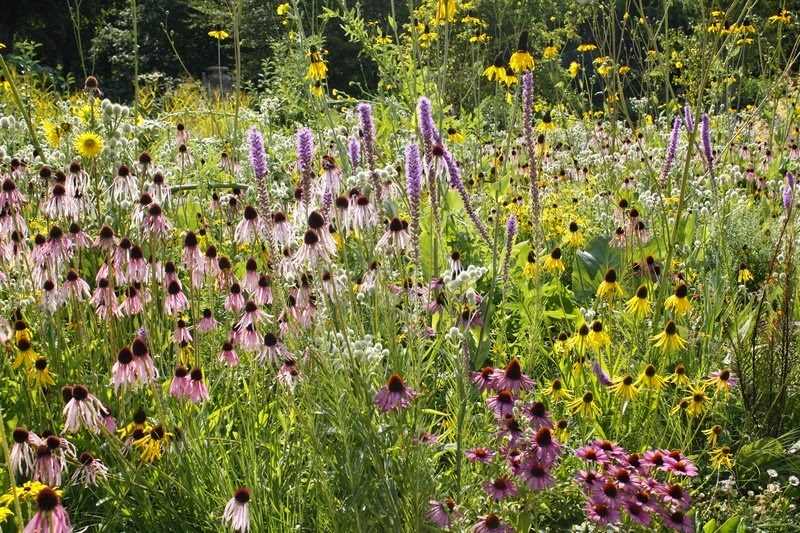 For anyone interested to learn more and also view a short video of the development, check of the Oxford Botanic Garden's website here.